In an attempt to stand out from the competition, Bally Technologies introduced U-Spin Slots Bonus, a unique feature that has quickly captured the attention of casino enthusiasts. The games housing this exciting option are already drawing huge crowds on the casino floor, as the players clearly enjoy the extra control they now have over their wagers, with added thrill another perk that should not be underestimated. The general trend in slot machine world is towards Skill Based slots. Bally’s U Spin can’t be really called skill based, but it was a step in that direction. Naturally, this feature is also available in online slots and some of them you can play here for free. See below. 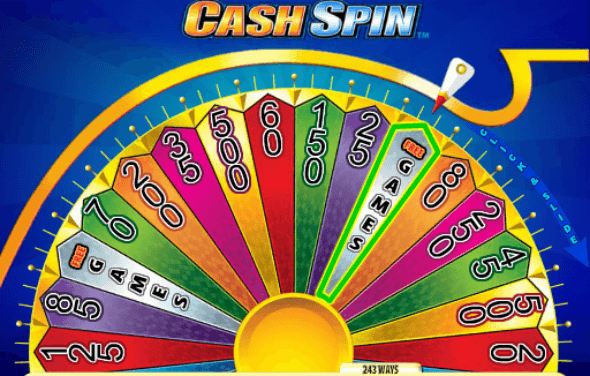 U-Spin Wheel Bonus is triggered when three Bonus icons occur in any position on the game screen and that is when the fun starts. Rather than the wheel being spun by pressing Spin button, the player is given full control over the outcome as he gets to touch the game screen, drag and release the wheel to determine the speed of the spin. Each prize that you have a chance of winning is displayed on the wheel wedge and the outcome depends solely on your swiping motion. The common rewards are a cash prize, free games or unlock another bonus feature. Gesture control wheel spinning is an innovative technology that stands behind the incredibly popular U-Spin slot machines, but it is really not that difficult to understand why said feature has taken the casino gaming world by storm. Additional control over the bet outcome is something that each gamer craves for and this is exactly what you get with U-Spin. U-Spins slots online work pretty much the same away although on desktop it’s a bit less attractive. The best way to play those slots is on Tablet, where you have similar type of control as in land based casinos. Bally have so far incorporated U-Spin Bonus in a dozen slot machines and we will get you acquainted with the most famous of these. Triggering U-Spin bonus wheel while playing Michael Jackson slot game can see you win instant credit prize, but also unlock Smooth Criminal or Beat It bonuses. If you activate the same feature on Grease slot machine, you will gain entry into the Yearbook Bonus, where the reels are replaced by Rydell yearbook and your gesture flips the yearbook pages to reveal the prize. 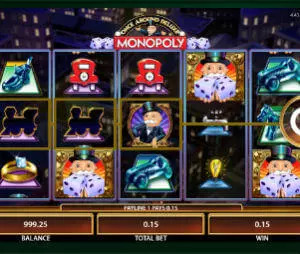 If you want to check out few more of the attractive U-Spin slot machines and see how these work at first hand, you should also try Vegas Hits, Golden Pharaoh and of course the trademark, Cash Spin slot machine., which you can play for free, here on SlotMachinesOnline.co.